WINNER of the NUI Publications Prize in Irish History 2013. Mid-seventeenth century Ireland experienced a revolution in landholding. Coming in the aftermath of the devastating Cromwellian conquest, this seismic shift in the social and ethnic distribution of land and power from Irish Catholic to English Protestant hands would play a major role in shaping the history of the country. 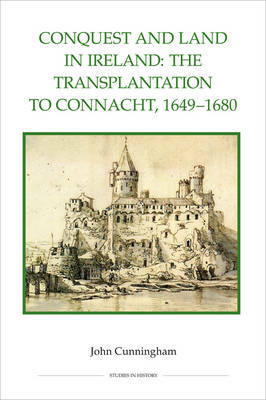 One of the most notorious elements of the Irish land settlement was the scheme of the transplantation to Connacht, which aimed to expel the Catholic population from three of the country's four provinces and replace them with a wave of Protestant settlers from England and further afield. Brought to the forefront of attention by nationalist scholars in the nineteenth century, the transplantation is one of the best-known but conversely least understood episodes in Irish history. Yet it has been relatively neglected by recent historians, a gap in the scholarship which this book remedies. It situates the origins of the transplantation in the heat of conquest, reconstructs its implementation in the turbulent 1650s and explores its far-reaching outcomes. It thus enables the significance of the transplantation, and its relevance to wider themes such as colonialism, state formation and ethnic cleansing, to be better understood. John Cunningham is IRCHSS Government of Ireland Postdoctoral Mobility Fellow in the Humanities and Social Sciences, Trinity College Dublin/Albert-Ludswigs-Universitat Freiburg.